Is there a way to fix this issue or change to correct repositiories? Still, have no clue why the repository addresses were wrong. 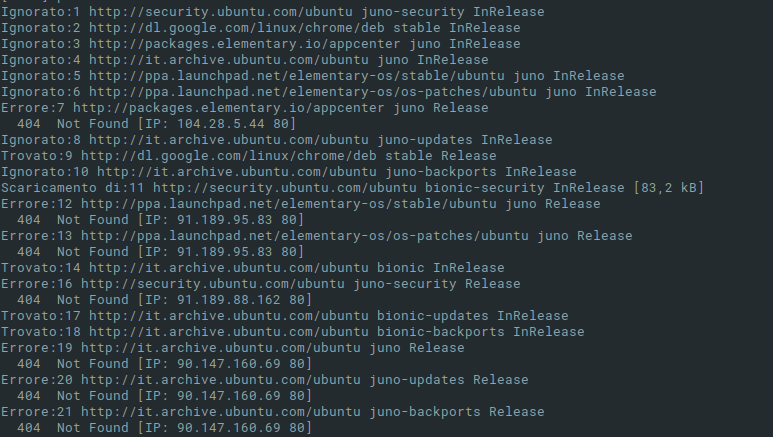 I installed Juno just yesterday; had the same porblem. Would there be an oficial explanation, or solution to this issue? Replacing Juno with Bionic, will still keep the system updated? Not the answer you're looking for? Browse other questions tagged updates apt or ask your own question.